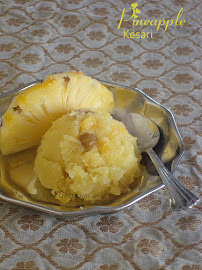 Now lets move on to the recipe. Cauliflower Chicken tikka pizza is a regular at home. I make this every fortnight. 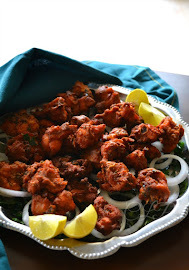 Its simple, easy to put together and you can make the entire recipe under an hour :) yes you read it right. Usually pizza dough is a lot of work and requires an entire day and also gluten dense. 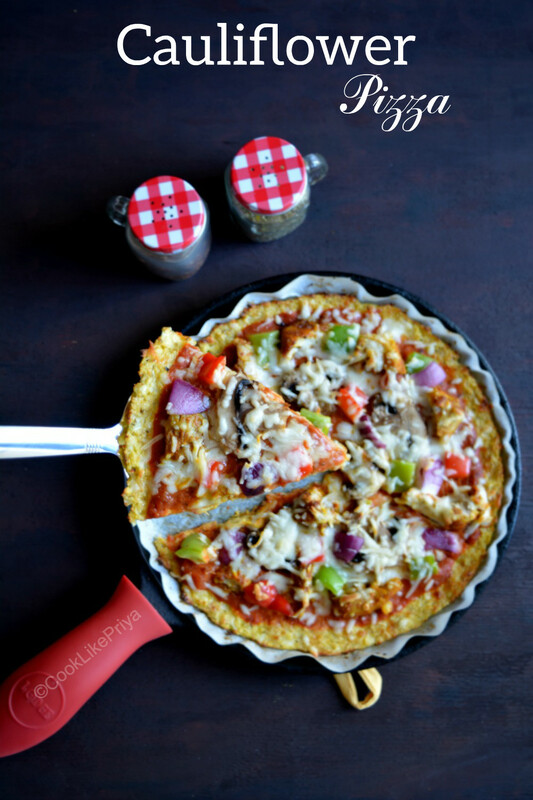 I have done the regular pizza base at home and compared to that this cauliflower pizza crust is such a breeze. You just need the perfect recipe and you are good to go. 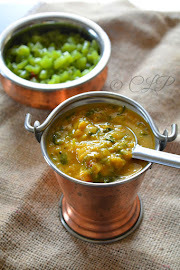 This recipe that I am sharing today has been tried and tested again and again and it has always been a hit. 1. 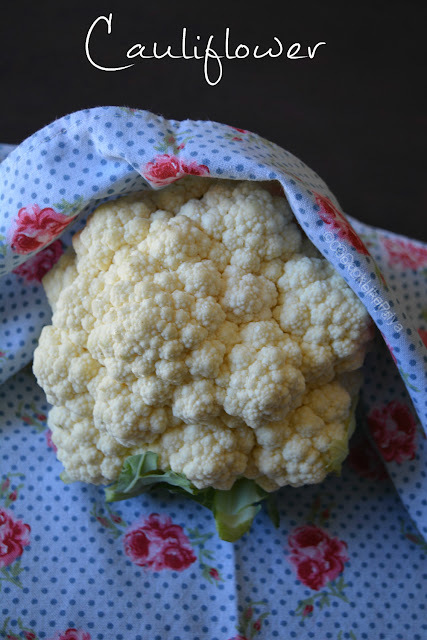 Wash and separate cauliflower florets and pat dry with a kitchen towel, using a grater grade the florets well you need around 2 cups of shredded cauliflower. Preheat oven to 400F/ 200C In a large pan on medium heat dry roast the cauliflower for 10 minutes to strip off all the moisture this way the pizza base does not become soggy. I find this method to be the best and less of a hassle. 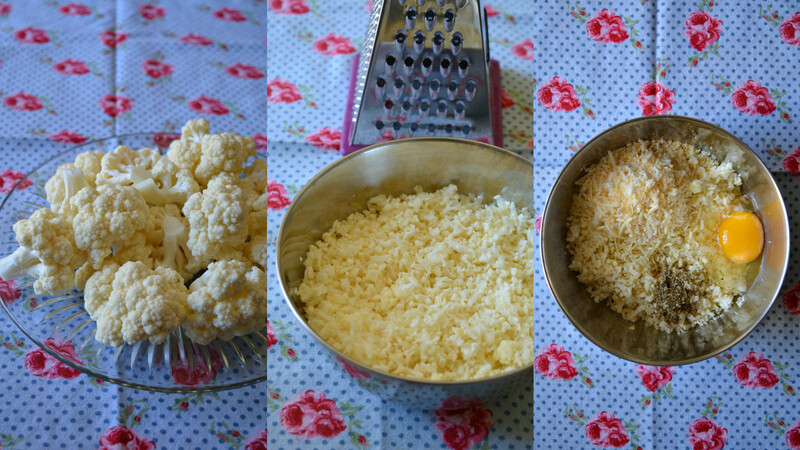 After dry roasting the cauliflower rice for 10 minutes the mixture will look dry. Transfer it to a bowl and let it cool down, once it cools down add an egg, oregano and Parmesan cheese (a must, refer notes). Mix everything together well. 2. In a pizza pan or cast iron skillet cut parchment paper (a must, refer notes). Once the skillet is lined with parchment transfer the cauliflower mixture to set the base. Pat gently on the mixture to form a dough like base, making sure that the base is evenly spread without gaps. Make sure the edges are little raised or thicker so that they don't look burnt around the edges when baked. 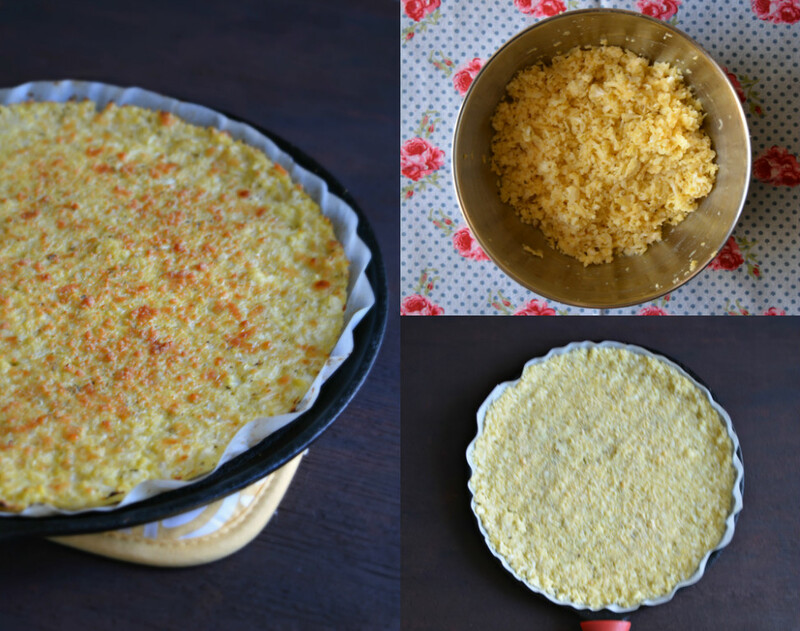 Pop the skillet into the pre-heated oven to bake for 18-20 minutes until the crust looks golden. Once done remove from oven. The base will now come without sticking to the skillet but you could leave it as it is. 3. Now add the pizza toppings, first spread the pizza sauce with a spoon and line the toppings. 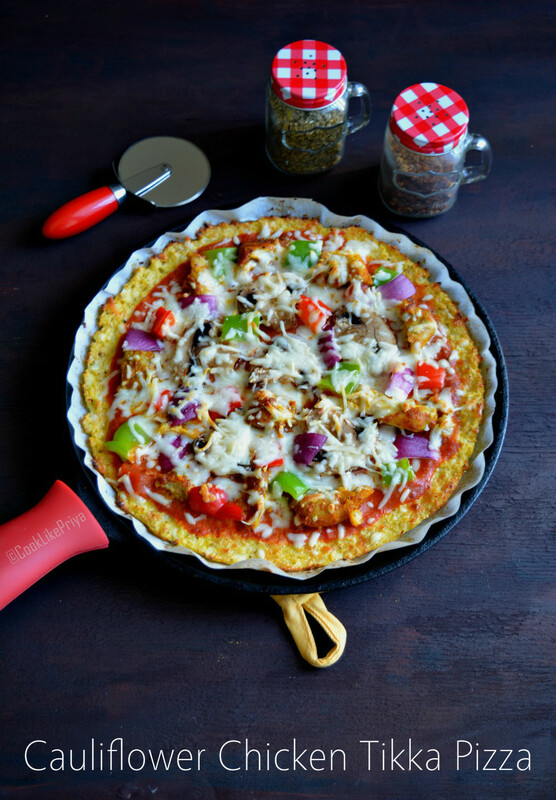 You can use your favorite toppings I went with capsicum/ peppers, mushroom, onions and tandoori chicken. 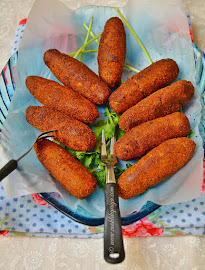 Sprinkle mozerella cheese or your favorite cheese as per your preference. Bake further in oven for 6 minutes until the cheese is all melted and the pizza is ready to serve. 4. 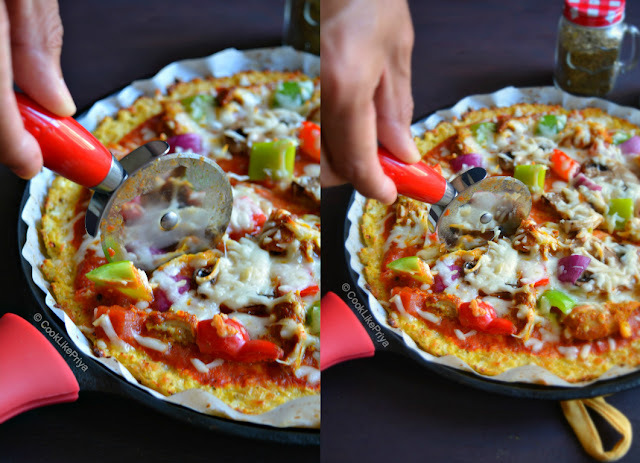 Using a pizza cutter cut pieces and devour :) Your very own cauliflower pizza is ready! 1. Always use only parmesan cheese for making the cauliflower pizza base since parmesan is a hard cheese the base will be soft yet firm and hold together well. I did not add salt to the base since parmesan has salt in it. For toppings you can go with your favorite cheese topping. You will not taste the cauliflower in the base and since cauliflower is tasteless I added oregano flakes in the base as a seasoning. Egg & cheese helps in binding the crust together. I will try and share a vegan version soon and also pizza sauce recipe. 2. Make sure to always use parchment paper as the base of your pizza pan or skillet. The reason is it helps in removing the pizza from the skillet else the pizza tends to stick and you won't be able to move them around while serving. Also do not use a silicone baking mat, I have tried it and failed. The pizza tasted good but like I said the base tends to stick to the mat. 3. 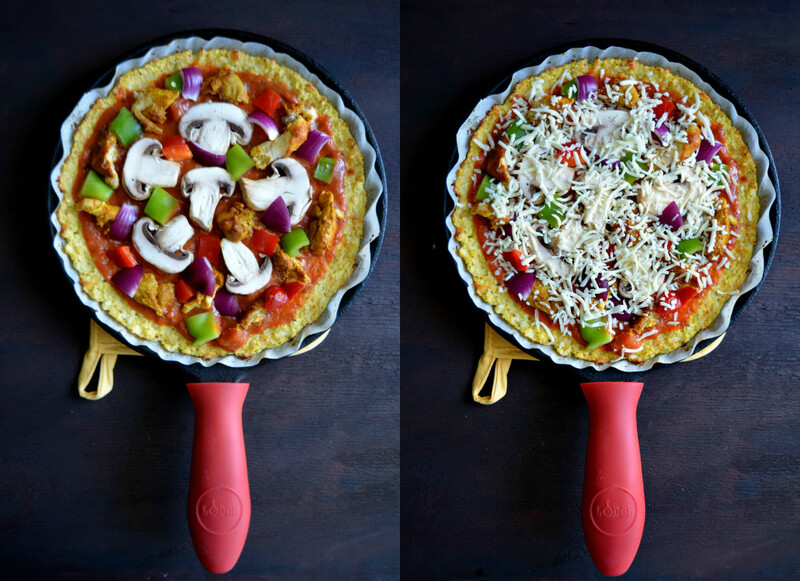 You can mix and match flavors and use your favorite toppings. 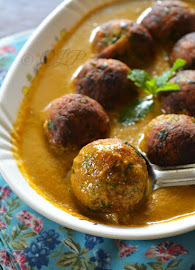 I used chicken and mushroom but you can make it fully vegetarian too. Love the cauliflower crust in this pizza!! Am really tempted to give it a try. Super delicious and healthy pizza!! 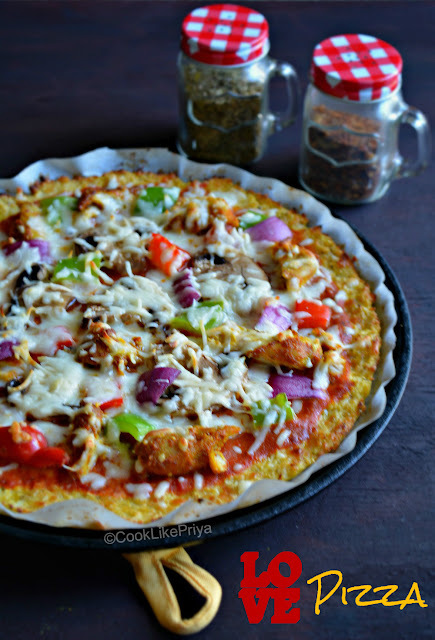 Thats an interesting and brilliant way to sneak cauliflower, i know how cauliflower works prefect for making crust as i have already tried bread sticks with them, super delicious pizza there.